Need a notecard to go with that gift? Quality notecard by Simon Elvin that is just picture perfect featuring on the front of the card 'House in the Lavender' from an original painting by Gordon Lees. This is a beautiful picture and makes a great card for men and women. Need a notecard to go with that gift? 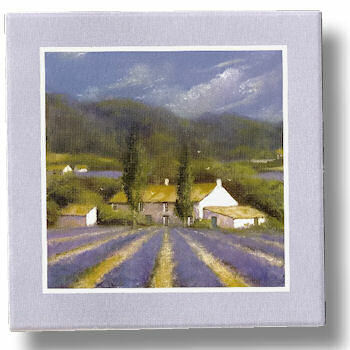 Quality notecard by Simon Elvin that is just picture perfect featuring on the front of the card 'House in the Lavender' from an original painting by Gordon Lees. This is a beautiful picture and makes a great card for men and women. Blank on the inside for your own heartfelt words. Includes envelope.